The Veggie Patch Co.’s Mat Pember gives our green thumb a helping hand. You can feel it, smell it, even taste it in the air - spring is most certainly here and everything is going to be ok. If you let the winter garden slip, now is the perfect time to make a comeback. Below is a snapshot of what to plant in spring. For those curious about whether to plant from seed or from seedling, marked alongside each of the varieties is how we'd go about it. S stands for seedling, SP is from seed - propagated and then transplanted when ready - and SD is from seed directly in the patch. Working in confined urban spaces, it’s important to make your patch as productive as possible and so a little companion planting is recommended. It’s no secret that everyone loves growing tomatoes and basil come spring, and thankfully they are a match made in Italian heaven. Plant your basil at the base of the tomato (about 15-20cms from the stem) and they will spur each other on to greatness. Other good matches include climbing beans with sweet corn, eggplant and cucumber and strawberries with spring onions. Being spring, the weather can be erratic at best, with warm days thrown in between sharp reminders of winter, so your watering plan should be malleable to what gets thrown up. Get into the good habit of watering first thing in the morning rather than late in the day, allowing the plants to use water as they require it. This will also help alleviate a number of pest and disease problems that flourish if the garden is allowed to stay damp at night. Remember that young seedlings will need frequent, short watering. As they develop, cut back on the frequency but increase the volume of water you give them. 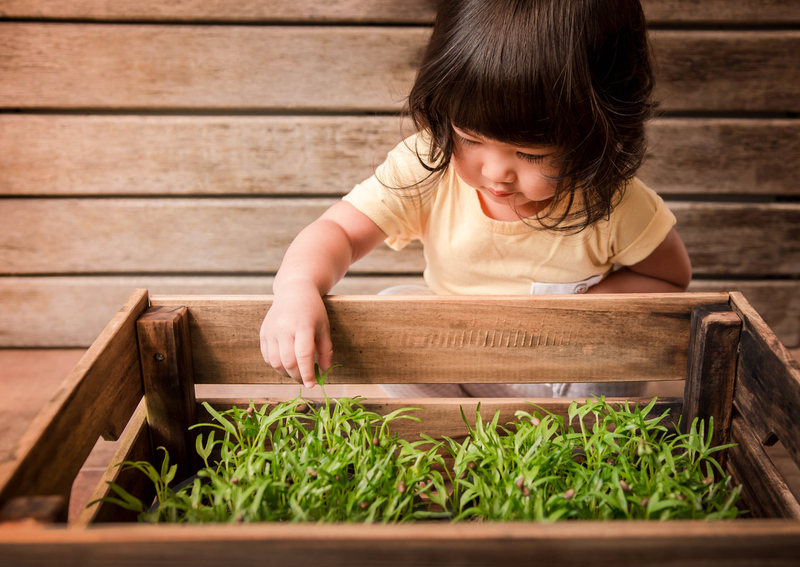 READ MORE: Herbs are a great place to start with your veggie patch. Here's how.